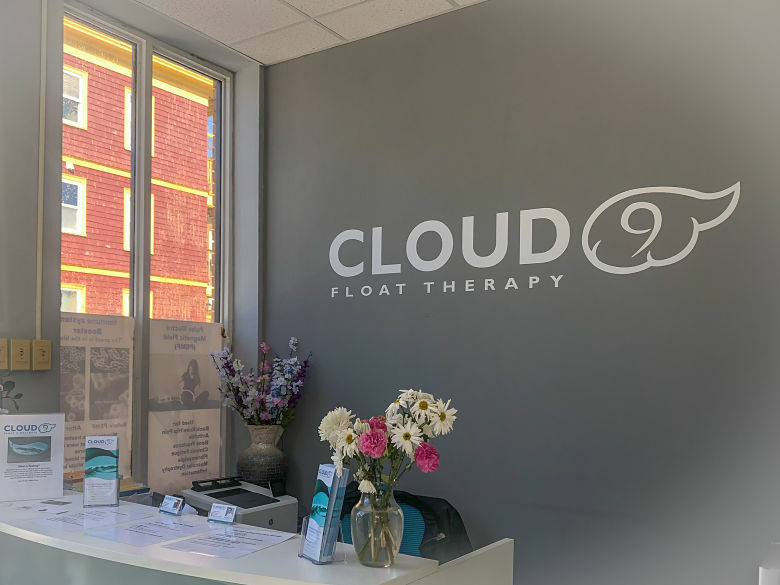 If you’ve been following along on IG (@sweetandmasala) you know Justin and I went to Cloud 9 Float Therapy this past weekend. If you’re thinking, “what the hell is float therapy?” you’re not alone. So, before I went, I just thought we would be floating in a pool with some low key relaxing deep house playing in the background with warm water flowing around me. The guy at the front desk was super nice and had us watch a quick video on the history of float therapy and the health benefits. The video went over the rules in the pod and what the experience was going to be. 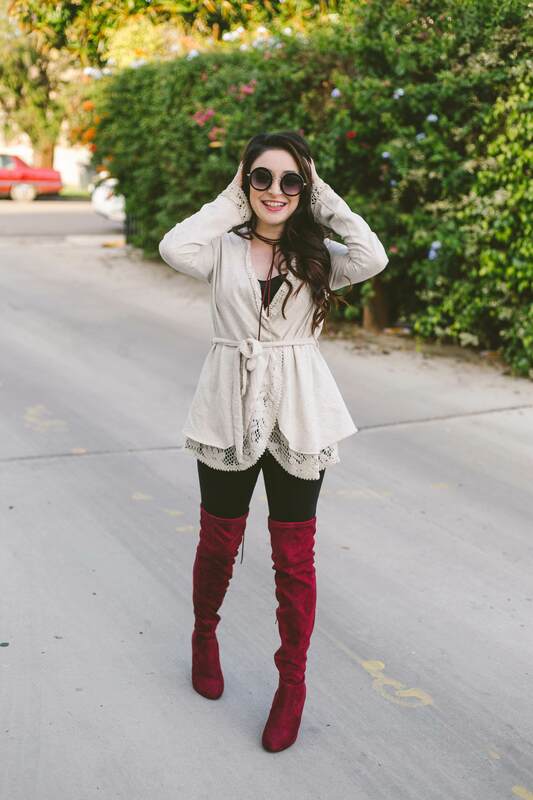 I walked into the room, full of nerves and let the door shut behind me. Honestly, the pod seemed more like a coffin…a coffin full of water. It kind of gave me the creeps. I took a shower to clean myself off and stuffed my ears with the earplugs as our float guide had told us to do. I’m good at following directions. I got into the pod, closed the lid and let the darkness take me over. 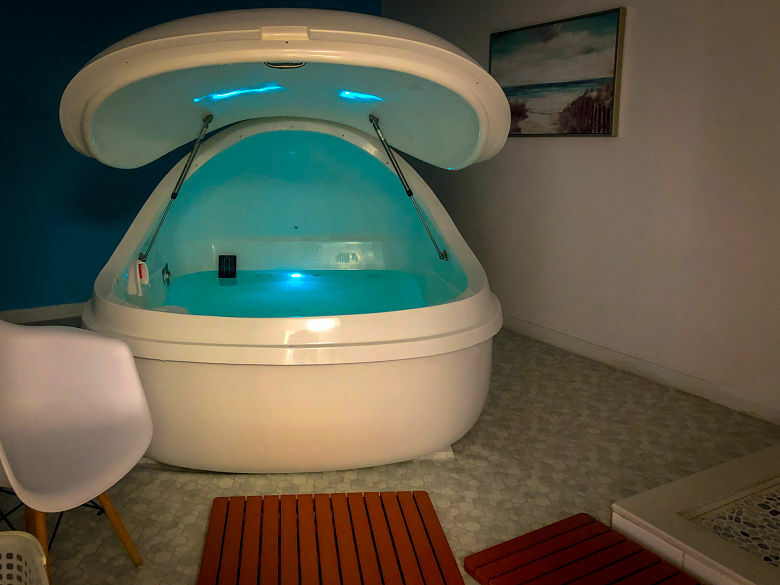 Floating, otherwise known as sensory deprivation, emerges your body into a 800 lbs of Epsom salt, and 10 inches of water the same temperature as your skin, so you have no sensory input. 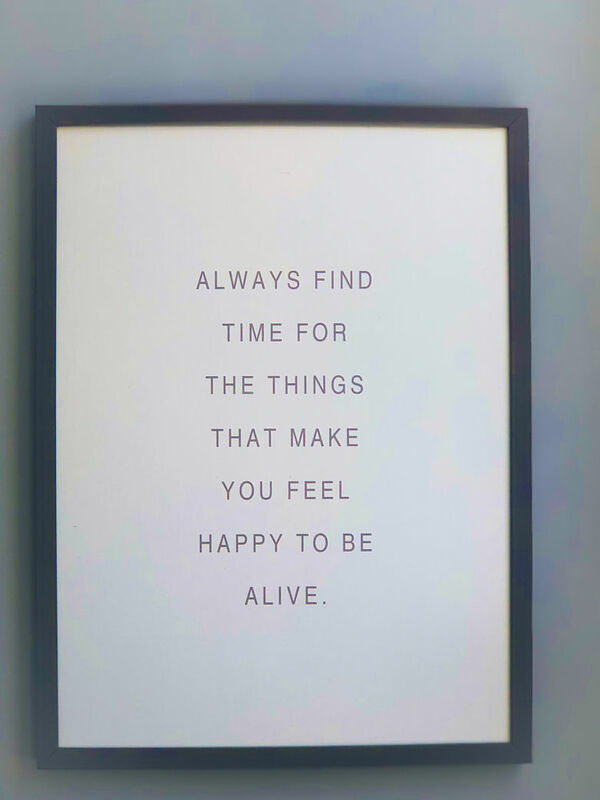 “Getting rid of all sensory input allows the ‘constantly-make-sure-you’re-not-dying’ part of your brain to chill out for a second, allowing the creative, relaxed part of your brain to come out and play. Without the constant pressure of analyzing the world around you, your body lowers its levels of cortisol, the main chemical component of stress. When I got into the water, it took me awhile to get COMFORTABLE. I flailed my arms around to get them into JUST THE RIGHT position. 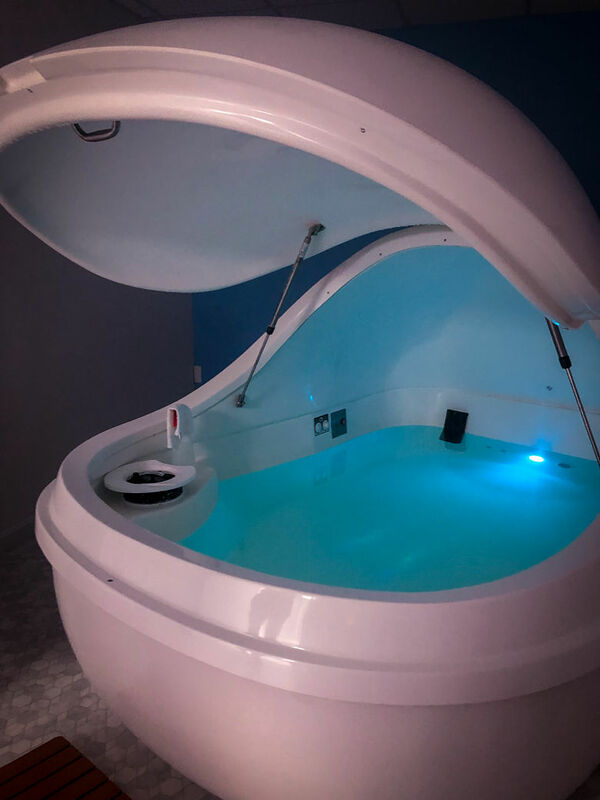 Finally, once I got into my position, I felt comfortable enough to shut the light off in the pod and immerse into the TOTAL RELAXATION state, I had heard so much about. From the stories I read online and the video I had watched before I had entered, many people said it took them 10-15 minutes to get accumulated, but then were able to let go and RELAX. This euphoric sensation never happened for me. My mind never shut off and I couldn’t fully LET GO. I had a nice little nap, but my muscles never released and I was always fully conscious. This is why I don’t meditate. J, on the other hand, had a totally different experience than me and was finally able to let go. He described the effect as “startling” and a little “scary” at first, because he felt like he left his body for a little while there…. He went FULL Joe Rogan on me. Although I left still feeling the same, I have a little curiosity to go back. If you’re up to trying something a little unconventional to the traditional massage I would recommend this. I would especially recommend if you are good at mediating. If you are a fidgety mess like me, this might not be for you. Have you ever tried Float Therapy? What are some ways you relax? I have read reviews about float therapy and people say it is a really good experience – total relaxation. I would want to try this sometime too. I really need to get rid of this stress! I haven’t tried float therapy myself but it sounds interesting. I’m thankfully not a fidgety mess lol so would probably find it very relaxing. Hihi.. So I may have been doing this for quite a while now eh? I know this float therapy has its benefits but I guess this is not for me. I am slightly agoraphobic which makes me anxious about small, cramped spaces. And you have to close the lid and turn off the light? Oh no. This sounds very interesting. I would probably feel about the same as you did. I feel like I could either be bored or unable to relax as well. i have always been curious about that kind of situation. I have watched movies about this kind of therapy. It was all kind of sci-fi but I do find the use of it intriguing. I’m not sure I would be comfortable though.